Other treatment and massage tables - Meden-Inmed Sp. z o.o. 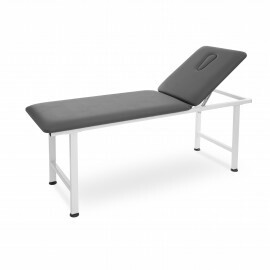 Tables for osteopathy and manual therapy are an integral element of treatment rooms. Multifunctional tables provide an optimal posture for both therapist and patient during the procedures. 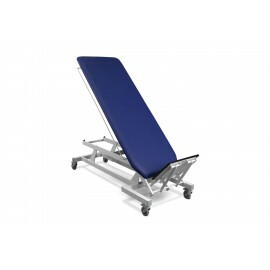 Rehabilitation and treatment tables guarantee high efficiency of work and ensure long and trouble-free use. Vertimo Hi-Lo - table for verticalization and mobilization. It is an excellent aid for patients after prolonged immobilization in lying position. 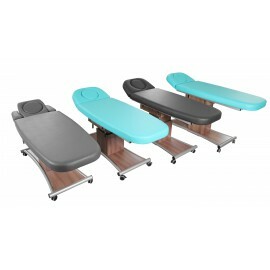 Massage and treatment table Matador is a perfect choice for massage, kinesiotherapy and physical therapy. 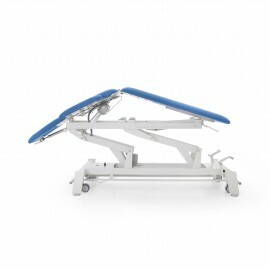 2 - section rehabilitation table without height adjustment, adjustment of head-rest: +40°, height: 660 mm. Calling to mind Watsu aquatic movements, the WaveMotion™ Bodywork table facilitates fluid movements to enhance bodywork treatments. The top rotates 360°, plus it inclines and tilts up to 7° in all any direction. With each massage application, the table gently rocks the client, providing additional therapeutic benefits. 5-section table for osteopathy and manual therapy with postural drainage. 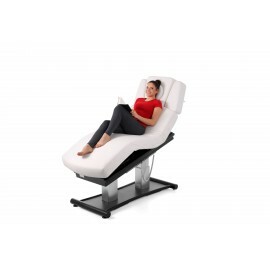 A table for manual massage and Wellness Nexus procedures has equipped electric height adjustment .